Try our super healthy, low sugar, no salt-added all-natural granola. 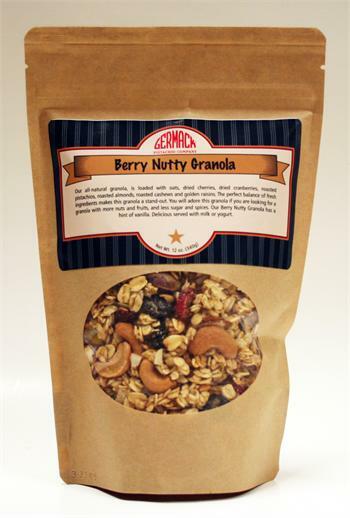 All-natural granola blended with pistachios, cashews, almonds, cranberries, cherries, and golden raisins. This item is a two pack of 12 oz. bags. Packed in a kraft paper bag, stand-up, zip-top.